Bares was born and raised in the LeBlanc community of Vermilion Parish, the last of five children of John and Onida Bares. He attended school at LeBlanc Elementary for seven years and then attended Erath High School where he graduated in 1954 as president of his senior class. He participated in all sports and was a member of the All-State Chorus, as well as a member of the Erath FFA Parliamentary Team, which won state honors. Allen then attended LSU where he graduated from law school in January of 1960. He was a member of Sigma Nu Fraternity and served as its president in 1957. After graduation, Bares joined the Louisiana National Guard and served six months active duty at Fort Jackson, South Carolina. He was later commissioned as a Second Lieutenant in the Louisiana National Guard Officer’s Training Program and served the balance of his National Guard duty in Lafayette under General LeBlanc and General Dronet. In 1962, Bares married Betty Bacque. They had eight children and have twelve grandchildren. Bares began his legal career in Abbeville as an associate with J.E. Kibbee. 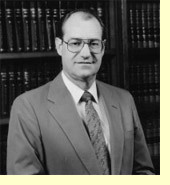 In 1961, he moved to Lafayette as an associate general counsel with All American Insurance Company. He was an organizer of Val-u Investment Corporation and served as its Vice-President and general counsel for many years. In 1972, Bares was elected as a State Representative in Lafayette Parish and re-elected unopposed in 1976. In 1980, he was elected to the Louisiana State Senate representing District 23 and served in that position until 1992. Allen was elected as president of the Louisiana State Senate in 1988. As a member of the Louisiana State Legislature for 20 years, he was extremely active in education reform efforts and tort reform efforts. He was a lead author of the 1987 Workman’s Compensation Reform Act and of the Products Liability Reform. He led the fight in the Senate in passing legislation to do what the state could to make abortions more difficult. As a French speaking legislator, Bares was a staunch supporter of CODOFIL and served as President of the Louisiana Chapter of the Association of French Speaking Legislators. He represented the state in Quebec City, Canada, and in Paris, France, for the international leaders of French speaking nations. He represented the state in Cairo, Egypt, for a conference of French speaking jurists. On two occasions, Senator Bares accompanied Governor Roemer on industrial trips to Japan and France. He had the privilege of meeting three presidents of France, and during a visit to Lafayette in the late 1970’s, then- Representative Bares presented French President Destang with a resolution of commendation from the Louisiana State Legislature. For his work with the preservation of French in Louisiana, the country of France presented Senator Bares with the Medal of Merit in 1991. During his service as a State Senator, Senator Bares served as National Vice President of the Education Commission of the States in 1985-1986. Bares is presently is of counsel with the law firm of Oliver, Way & Jones. He continues to practice law in Lafayette and is employed as a lobbyist representing several local and national companies in the Louisiana Legislature. Bares received the Silver Beaver Award from the Evangeline Area Boy Scouts council and presently serves as Vice President of Finance for the Evangeline Area Council, Boy Scouts of America. Bares is a member of the Lafayette Kiwanis Club, the Lafayette Chamber of Commerce, Oakborne Country Club, the executive committee of the Evangeline Area Boy Scouts Council, President of the Lafayette Sierra Club, and a parishioner of St. Pius X Church.